Suzy Klein with a lively mix of music and chat. 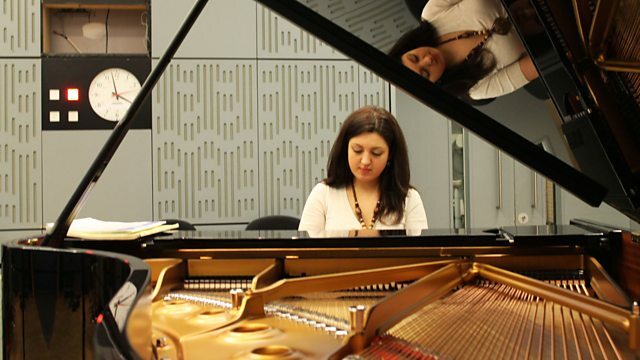 Her guests today include star countertenor Andreas Scholl, composer Roxanna Panufnik and there's live music from pianist Alexandra Dariescu. Performer: Howard Shelley. Performer: London Mozart Players. Performer: Andreas Scholl. Performer: Orchestre Du Collegium Vocale. Performer: Lily Maisky. Performer: Philippe Quint. Performer: Itamar Golan. Performer: Janine Jansen. Performer: Andreas Scholl. Performer: Christophe Rousset. Performer: Les Talens Lyriques. Performer: Andreas Scholl. Performer: Chiara Banchini. Performer: Ensemble 415. Etudes en formes de variations Op.13 for piano vers. rev. 1852 with variations Op.posth. Performer: David Terry. Performer: The London Oratory School Schola. Performer: Collegium Musicale Chamber Choir. Performer: Mihhail Gerts. Performer: Tallinn Chamber Orchestra.